Alain Badiou presents a radical alternative to contemporary philosophy with the Philosophy of Event and the understanding of truth connected with it. The basic assertion of the philosophy of event is to establish a new theory of truth and subject, different from the understanding of truth and subject of classical philosophy and postmodernism. Attempting to build a new style of philosophy, Badiou reformulated the concepts of being, truth, state, event, subject and loyalty according to his own system. The basic argument of Badiou's philosophy lies in the wide range of changes that he called event. The event happens with breaking the status quo over "the state" and breaking away from it; Badiou argues that truth can only be derived as a result of events occurring within the four areas that he named as genetic processes. The only four areas Philosophy can think about truth are science, art, politics and love. Philosophy is a plane that “captures” the truths produced in these four areas and thinks about the simultaneous coincidence of these truths. This study aims to analyze the basic concepts of Badiou's truth-oriented philosophy by comparing it with the postmodern orientations he opposed and to evaluate the radical alternative he introduced to the contemporary philosophy from a critical perspective. Badiou, A. (2005). Being and Event. New York: Continuum. Badiou, A. (2012). Felsefe İçin Manifesto. (Çev. M. Erşen). İstanbul: MonoKL Yayınları. Badiou, A. (2015). Fransız Felsefesinin Macerası. (Çev. P. B. Yalım). İstanbul: Metis Yayınları. Badiou, A. (2016). Sonsuz Düşünce. (Çev. I. Ergüden & T. Birkan). İstanbul: Metis Yayınları. Boyne, R. (2009). Foucault ve Derrida: Aklın Öteki Yüzü. (Çev. İ. Yılmaz). Ankara: BilgeSu Yayınları. Derrida, J. (2001). Writing and Differance. New York: Routledge Classics. Derrida, J. (1994). Göstergebilim ve Gramatoloji. (Çev. T. Akşin). İstanbul: Afa Yayıncılık. Derrida, J. (1999). Différance. (Çev. Ö. Sözer). Toplumbilim, 10. Foucault, M. (2006). Deliliğin Tarihi. (Çev. M. A. Kılıçbay). Ankara: İmge Kitabevi. Hallward, P. (2016). Sonsöz. A. Badiou. Etik-Kötülük Kavrayışı Üzerine Bir Deneme. (Çev. T. Birkan). İstanbul: Metis Yayınları. Hewlett, N. (2018). Badiou, Balibar, Ranciére. (Çev. H. İ. Mavituna). İstanbul: Metropolis Yayınları. Lyotard, J. F. (2014). Postmodern Durum. (Çev. İ. Birkan). Ankara: Bilgesu Yayınları. Megill, A. (2008). Aşırılığın Peygamberleri: Nietzsche, Heidegger, Foucault, Derrida. (Çev. T. Birkan). Ankara: Ayraç Yayınları. Norris, C. (2000). Deconstruction. New York: Routledge. Türk, D. (2013). 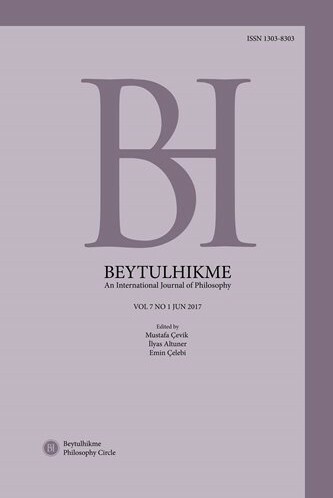 Öteki, Düşman, Olay: Levinas, Schmitt ve Badiou’da Etik ve Siyaset. İstanbul: Metis Yayınları. West, D. (1998). Kıta Avrupası Felsefesine Giriş. (Çev. A. Cevizci). İstanbul: Paradigma Yayınları. Žižek, S. (2012). Gıdıklanan Özne. (Çev. Ş. Can). Ankara: Epos Yayınları.